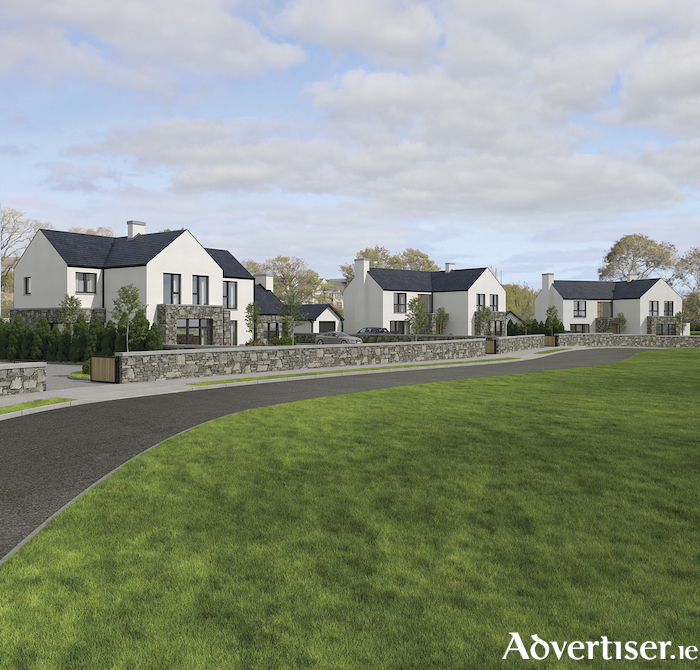 Sherry FitzGerald is offering a new high-end residential development of 14 detached luxury homes on large sites, located on the Coast Road, Oranmore, with construction under way for the first homes in Béal Taoide. Béal Taoide is the latest project by Kenny Developments Galway Ltd, one of the leading house building companies in Galway. The development is located less than 3km from Oranmore on the Galway city side of the village. Oranmore train station is only a two minute drive. Part of Galway’s suburban belt, Oranmore is a rapidly expanding area located just 8km east of Galway city with easy access to the M6 (Galway-Dublin ) and M18 (Galway-Limerick ) motorways. Oranmore benefits from a host of amenities and services including supermarket chains (Tesco, Lidl, Aldi, Joyces ), hotels, restaurants, leisure centres, a train station, a regular bus service, primary and secondary schools, and vibrant sports clubs. Superb views of Galway Bay accompany each home in Béal Taoide with the site layout arranged in such a way to maximise views southwards to the sea. The new development will comprise a selection of large four and five bedroom homes ranging in size from c233sq m to 276sq m (2,500sq ft to 2,980sq ft ) with each house sitting on a generous site ranging in size from 0.23 acre to 0.58 acre. All homes will benefit from detached garages and generous front and back landscaped gardens and substantial open amenity spaces professionally designed by Radharc Landscaping. Another feature of the Béal Taoide homes will be the attractive natural limestone wall to the front of each house. The new energy efficient homes will have an A2 BER with the associated benefit of low energy consumption and energy bills. Heating is by an air-to-water heat pump system with underfloor heating on both ground and first floors providing for greater comfort, control, and efficiency. In addition, as these homes will be highly insulated and airtight, a heat recovery ventilation system will be incorporated. Kenny Developments Galway Ltd is managed by John Kenny and sons. With 42 years of experience in the construction sector, John Kenny has been the driving force behind many recognisable showcase development projects in Galway city and its environs. With a reputation for innovative design, quality workmanship, and superior finishing, Kenny Developments Galway Ltd will ensure quality, comfort, and security.